This enchanting hotel is designed in a unique way with a spacious area that could accommodate almost 350 guests at the same time. 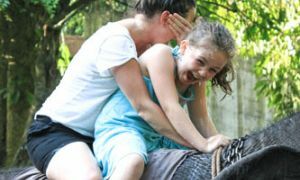 It also gives the customers a magnificent opportunity to watch the elephants bathing in the river, which is a definite treat to the eye. All these could be done while you have your meals or beverages at the restaurant. Buffet arrangements could be prepared for those who prefer to taste an exclusive meal. This could be arranged only under request. A river side bar is also available, that serves a range of items to the needs of the customer. 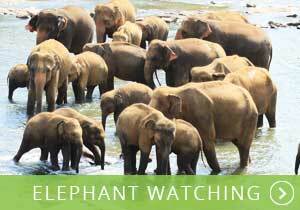 All these could be done at the same time, while you have a glimpse of the Srilankan Elephants bathe in the river.